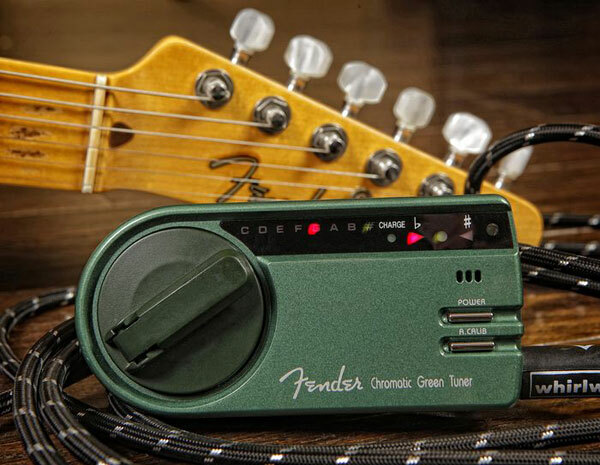 Fender® introduces the world's first Green Chromatic Tuner. Simply give the crank a few turns and you're ready to tune. No more expensive and wasteful batteries. Built-in microphone for tuning acoustic instruments. 1/4" jack for tuning electric instruments. Built-in flashlight for when you need it on a dark stage. The first time you use the GT-1000 Green Chromatic Tuner it's a good idea to "Prime" the power cells by turning the crank 20 times. Any time you use it after that, 5 to 10 turns will do the trick. No need to charge it unless the lights on the tuner are dim. To conserve cell power, turn the power off when not in use.